Posters or canvas prints featuring a Scarlet Swallowtail reaching across cascading racemes of tropical scarlet flowers to extract nectar. 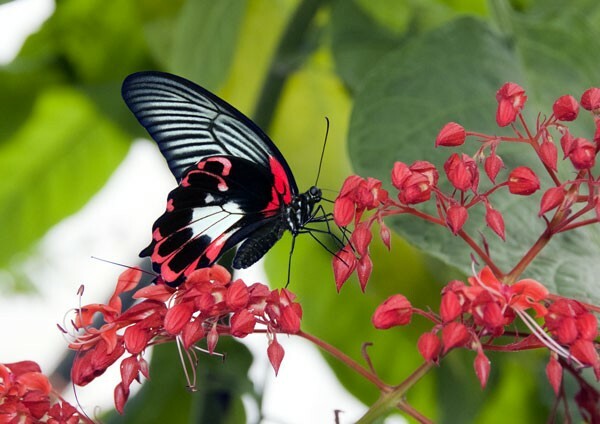 The Scarlet Swallowtail Butterfly can be found throughout much of Australasia and Indomalaya in a wide range of habitats from coastal lowlands to mountains. Scarlet Swallowtail reaching across cascading racemes of tropical scarlet flowers to extract nectar. The Scarlet Swallowtail Butterfly can be found throughout much of Australasia and Indomalaya in a wide range of habitats from coastal lowlands to mountains. Scarlet Swallowtail (Papilio rumanzovia).